It’s National Ice Cream Month, and we understand why Americans love this sweet treat. Don’t skimp, just lighten it up with these healthy ice cream recipes as part of a healthy diet. First up is a Paleo Vanilla Ice Cream to save as your go-to vanilla recipe. This light and tasty Coconut Cinnamon Ice Cream is also vegan. Vegans, kids, and everyone in-between will love this Mint Chocolate Chip Ice Cream. Whip up light Creamy Mango Ice Cream in just 5 minutes. Get indulgent with this rich and delicious Double Chocolate 4-Ingredient Ice Cream. Healthy Coconut Frozen Yogurt is the perfect treat to enjoy beside the pool on hot days. For National Ice Cream Day, make this creamy Coffee Coconut Ice Cream for a dose of caffeine with your dessert. Keeping your kids (and you!) happy with frozen treats is a part of summer, but that doesn’t mean they can’t be healthy! These Blackberry Pie Pops are a great way to get the flavor of pie without turning on your oven. This Coffee Coconut Ice Cream is perfect for those with an ice cream maker and a sweet tooth. These Sparkling Raspberry Parfaits are the perfect cold end to an adult meal. Make this Easy Grapefruit Slush in just minutes when you have a cold craving. 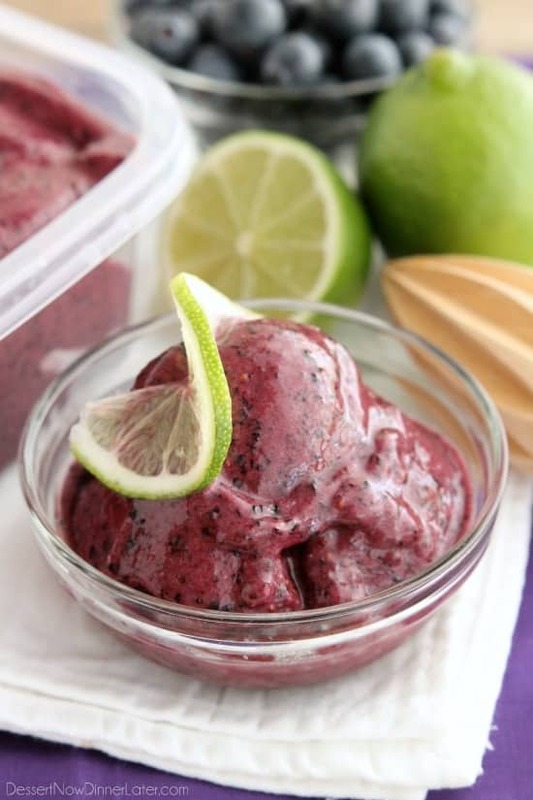 This Instant Blueberry Frozen Yogurt is simple and ready to eat in minutes. Raspberry Coconut Popsicles are creamy and rich, but completely healthy. This Pineapple and Coconut Frozen Yogurt is an easy, tropical flavored frozen treat for the whole family.